Do you pay for every little extra from your bank? Hate your bank’s customer service (or lack of)? Pay for basic services? All are reasons to change banks, and you’re not the only one considering such a move. According to a March 2012 report by Javelin Strategy & Research, 11% of consumers want to change their primary financial institution in the next year. Many consumers protested Bank of America’s $5 monthly charge for use of a debit card, and “Bank Transfer Day” on November 5, 2012 encouraged consumers to switch from large banks to not-for-profit credit unions. Many consumers believe they could find a better deal elsewhere but believe that switching would be a hassle. Here are seven reasons to switch and how to clear the obstacles in the way. Fees for wire transfers, fees for losing your debit card, fees to download your bank statement to Quicken, charges for extra copies of checks or statements, you name the service and some banks will charge for it. Whether you moved or your bank moved, if you visit their location frequently and getting there has been a hassle since moving, switch to a more convenient location. Shop around for the best interest rate on a savings account. Some banks offer interest on checking accounts as well. This may not be a deciding factor, but it is one that deserves consideration. Small banks and credit unions may belong to a third-party network of surcharge-free ATMs or reimburse you for fees incurred using another bank’s ATM. Online-only banks like Ally Bank, ING Direct and Bank of Internet USA offer low-cost checking accounts and competitive interest rates on savings accounts. However, this may not work well for customers who deposit a lot of checks, who will need to mail the check or pay for wire transfer. If your bank charges you for services like basic checking, using a debit card or banking online, switch. Again, shop around for the best deals. Not all banks have poor customer service. If yours does, take your money somewhere else. Another bank will be happy to help you when you have questions in exchange for the privilege of having your business. Little extras that sweeten the deal may include a promotion for joining, free wire transfers, easy-to-use automatic bill pay and anything else that suits your individual banking needs. Why do many who want to switch banks never do so? There is a perception of hassle involved, and it’s not entirely inaccurate. Banks want to keep your business. In most industries, keeping loyal customers means offering perks and incentives. Instead, banks just make it harder for you to leave. Some banks will charge a fee to close an account newer than 180 days. If all automatic payments are not transferred correctly, banks may charge a fee for overdrafting an empty account or bouncing a check, and merchants may charge late penalties if automatic payments are delayed in the transfer process. Worse yet: zombie accounts. 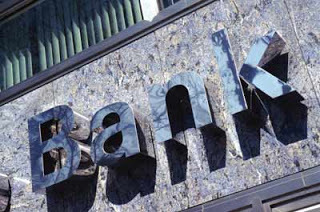 Banks may reopen accounts that customers have closed if the bank receives a deposit to it, then charging penalties or monthly maintenance fees. Inquire if your new bank will help you make the transition. It could save you a headache and a handful of cash. I switched to Bank of America a few years ago because I basically live half in Connecticut, half in New York, and it seemed much more convenient. Of course, the area of NYC I’ll be living in until at least May has no very close BoAs… how that’s possible, I don’t know. I think I might research more into switching to another. I did assume it would be a hassle, but if it’s not so bad, I might do it. Thanks for this comprehensive guide–As depositors, we have every right to assert our needs and express our dissatisfaction over excessive charges and poor customer service. Other banks would be more than glad to take us in anyway. I’ve had several bouts with inconsiderate bank managers and customer service representatives so needless to say, I’m seriously contemplating on transferring my hard-earned money to a financial institution that actually cares about my welfare and my needs as a depositor. Thanks for raising this concern. There are just so many reasons why you need to switch choice, including banks. Thanks for this heads up! I agree with everything you mentioned. Veronica recently posted..New Years Eve 2011 Sydney Harbour Fireworks Cruise! But of course! Somehow I think other banks are taking their charges over the top. This article is very helpful! Even if Banking system have become a bit tad techie as well, you can’t deny the hassles of managing your accounts. Great reasons for convenient and guilt-free bank switch! I mean, this article is nifty! It’s credible and noteworthy! For some of us, making a big fuss about switching banks is a big no-no but this one really helps for the convincing part! I hate those extra, unexplained charges, very bad for my botox. Thank you for your post, it’s informative, and helps a lot! Thank you for sharing this, I’ve been experiencing constant sub-par service from my own bank, and I have been considering changing. This checklist helped me see what’s wrong with my current provider and what I shouldn’t find in a new one. Thanks again! Emilia recently posted..Architecture and nature co-existing happily together – is it possible? It really puts me off especially if banks don’t deal with their clients like they are professionals. That’s one of the reasons I agree with your blog post. Thank you for voicing out the many inconveniences of bank clients! I super don’t like this “Excessive fees” because everytime my hubby send some funds overseas. They still deduct changes even if my hubby already pay some charges when sending. Whichever company wins the battle it will be great news for consumers. Offering better customer service and experience will be key to ensuring they capture a share of the market. Providing quality service should be paramount. We can only hope that these new entrants will raise the game so significantly that other banks and building societies start to get their act together too. Normand J. Mccormick recently posted..No last blog posts to return. When it comes to banks there are many that do not meet up to the Customer service they claim to offer. Our local bank has customers rating their service out of ten however they only keep the good feedback for marketing. This shows how one sided the customer service is. Next post: Should You Loan Money to Family or Friends?